High Point is an award winning community that has achieved both local and global acclaim. The successful fulfillment of our sustainable and inclusive vision, the unusually collaborative development process, and the neighborhood’s many innovative features have all earned High Point numerous accolades. High Point is widely recognized as one of the first dense urban development in the nation to attain sustainable, low-impact design on a large scale. It is the first ENERGY STAR®-certified multifamily community in the U.S. At the time of its development, High Point also featured the largest storm water drainage system in the country. High Point's success as an award winning community in improving the physical, mental, and environmental health of its residents has been noted by several National Institutes of Health studies. 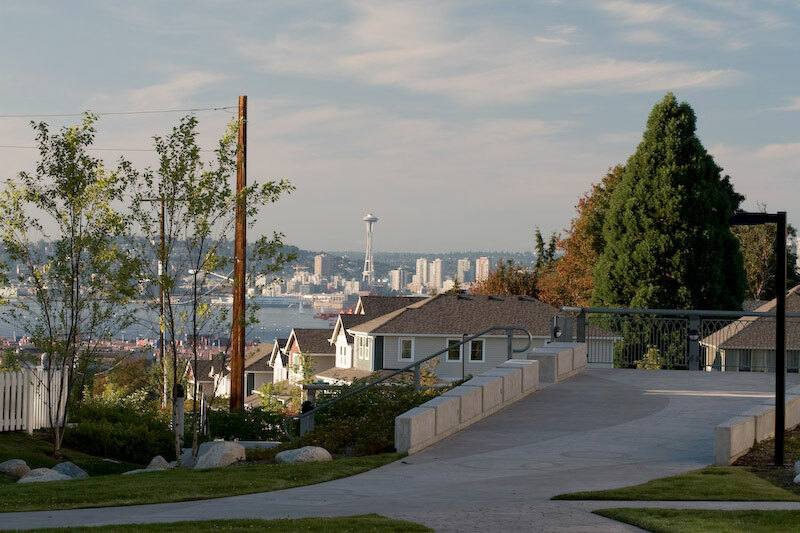 Locally, High Point is also Seattle Housing Authority’s largest master-planned family community and one of its most diverse neighborhoods. The development now serves as the model for green building standards at the Seattle Housing Authority. High Point's commitment to sustainable design and community development for residents of all incomes has garnered multiple awards, including City of Seattle Built Green Community Design Award, the Communities Award in the Built Green Design competition, and the American Institute of Architecture’s Show Your Green Awards. One of the most significant honors was the Urban Land Institute (ULI) Global Award for Excellence, a world-wide competition for the best urban developments. As its 2007 winner, High Point was recognized as an international model of sustainable mixed-income living. ULI is the pre-eminent organization on responsible urban development, and this award is the global standard for environmental sustainability and successful mixed income living. The award is on display in the entry hall of the High Point Neighborhood Center. ULI judges on strong urban design, livable sustainable development, replicable innovation in land use management, sensitivity to the environment, and design that is relevant to needs of community. High Point continues to attract global attention as an example of sustainable urban design that manages to uphold its standards for diversity, community, and environmental stewardship. Building and design professionals and other experts from all over the world still visit the neighborhood to study its numerous achievements.